How To Renew Your Fixed Deposit After Its Maturity? People usually opt for investing surplus funds. There can be many ways one can earn surplus funds: A huge business profit, salary appraisal or even the funds coming from an old age pension. Instead of saving these funds, investing it would always be a wise decision. Saving your funds wonâ€™t help you replicate your funds, which is why investing is an option preferred by many people. There are many investment options that can help you replicate your funds easily. Mutual funds, shares and gold are investments which involve high risks as their interest rates depend upon the market conditions. As market conditions keep on changing, the interest rates on these investments also keep on fluctuating. On the other hand, investments in fixed deposit (FD) are considered as safe and less risky. As fixed deposit interest rates don’t depend upon the market conditions, FD offer a fixed rate of interest throughout its tenure. Though fixed deposits involve low risks, they still offer higher returns on the investment compared to a savings account. When it comes to fixed deposit interest rates, investing in Non-Banking Financial Companies (NBFCs) can earn you higher returns compared to a banks fixed deposit, which can be a relief to new investors as investing in banks after demonetization has led to a low-interest rate on their fixed deposits. As the repo rates have been cut down by the Reserve Bank of India (RBI), interest rates on fixed deposits have dropped down, which is why many investors are posed with a question, whether to invest in a fixed deposit or not. While this is the case you can go for investing in NBFCâ€™s fixed deposit as you can earn a high interest rate compared to banks. At times people also go for reinvesting as they can get benefits with higher returns. Once your fixed deposit matures you can choose to renew your fixed deposit account instead of spending it. In case if you need the funds after your fixed deposit is matured, then you are free to use it. But if not, then it is ideal to reinvest the money by renewing your fixed deposit account. It is considered ideal to go for a fixed deposit renewal, as you can earn higher returns over the reinvested amount. 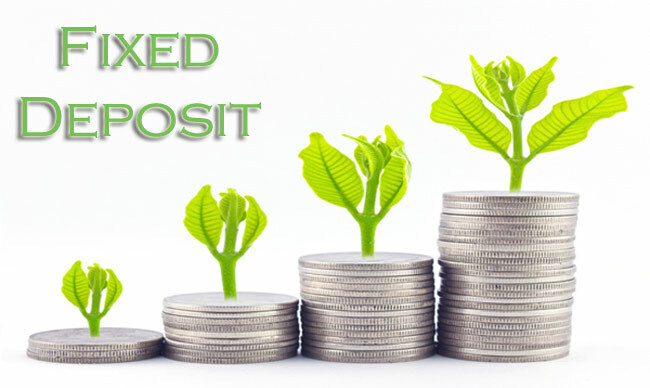 If you choose to reinvest your fixed deposit then the financial institution offers you a higher rate of interest. In case if you have broken your fixed deposit in the past, then the financial institution wont consider you eligible for the higher interest rates. Your fixed deposit can get renewed automatically after its maturity if you are signed into auto-renewal feature with your financial institution. By signing up with this feature the fixed deposit account will get renewed automatically, as you don’t have to go through the whole investment process again. Suppose, you are investing INR 5 lakhs for a tenure of 5 years with an interest rate of 8% and if the government decreases the interest rates on FD by 2% then at the time of your fixed deposit maturity, you will get the returns at 6% interest rate. But, if in case you have opted for an auto-renewal fixed deposit, then the renewed FD account will have the same interest rate which was on your existing fixed deposit account i.e. 8%. In case if you are not signed to an auto-renewal then after reinvesting your money in a new fixed deposit account, you will be offered with the new interest rate i.e. 6%. You donâ€™t only avail good returns over the renewal of your fixed deposit but you also can benefit with schemes offered by your financial institution. Hence, these are some points you need to keep in mind when your fixed deposit account is going to get matured.